Gaming is more than a meaningless past time where you get to shut out the world for a while. Online gaming can bring some real benefits to your life, and this is why you should consider adding it to your life. Here are just some of the reasons why you should consider getting involved in online gaming. 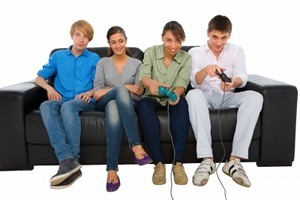 Online gaming forces you to play with other people who you donâ? ?t necessarily know to succeed. This is a good thing. As long as youâ? ?re mature, you have the potential to make lots of good friends, which you might go on to meet in real life. You can even play with people you already know. Itâ? ?s not uncommon to see people joining a game together and operating as a group of friends. If you decide to spend time playing games online, itâ? ?s one of the cheapest entertainment options available to you. There are very few hobbies which can come close to it in terms of value. Using UK prices, letâ? ?s take a look at some popular things people love to do. Weâ? ?ll compare them to online gaming. Going to see a film = Â£10 if we include the film and any beverages you pick up. This is going to last you for about 2-3 hours. Going to a museum or gallery = Usually free, but itâ? ?s only going to provide you with a few hours of entertainment. Plus, the actual attractions will only change a few times a year, so there are only a certain number of times you can visit. Eating out at a restaurant = Will usually cost you at least Â£30 for a 2-3 course meal including drinks. The average meal wonâ? ?t last any longer than 90 minutes to a couple of hours. Now letâ? ?s look at the calculation for an online game. You buy the installation, which is usually between Â£20 and Â£50. This is a one-time fee. If it has a subscription, it might cost about Â£9 per month. In exchange, you can play it for as long as you want and you get full access to hundreds of hours of content. In terms of value for money, online gaming beats out all of these other entertainment options. An online game is always available for you to play. Theyâ? ?re becoming more popular than single player games. You can leave this world and enter another world. Some people might frown upon the idea of using games for this reason, but thereâ? ?s nothing wrong with it. Itâ? ?s like sitting down to watch the TV or reading a favourite book. Itâ? ?s just a way to take your mind out of the stress-inducing real world and giving it time to relax in a world under your control. Overall, online games are an ideal way to relax and get social with other people. Theyâ? ?re arguably the best type of game to play because of the fact you can talk to others. Take a look at some of the online games available today for all platforms. This guest post is penned by Tom Taylor. He is a freelance writer who shares his everyday life experiences through his articles. He says he enjoys playing online games on Friv Jogos and recommends it to his readers.